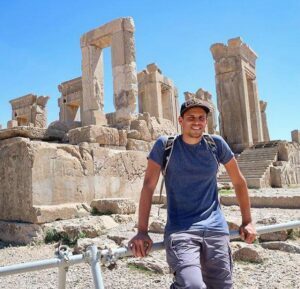 An American tourist, who has travelled to almost all parts of the world, says Iran is the best of all 175 countries he has visited so far, and his mindset about the country changed completely after the visit. After waiting for two years, JP Salva finally received the visa for Iran. 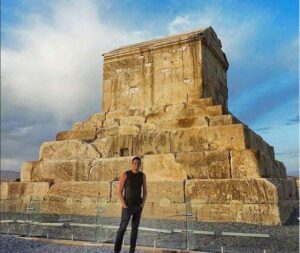 The 39-year-old tourist has, so far, visited 175 countries, but he does not like any of them as much as Iran. Iran is his favourite country, Shiraz his favourite city, and Ghormeh-Sabzi his favourite food. JP was born in Puerto Rico, but lives in the city of Orlando in the US state of Florida. He is a US citizen. He says he worked as a software engineer in the United States and saved money. Seven years ago, he decided to make a journey around the world and see 195 countries. He told BBC Persian that he had heard good things about Iran from his friends, but that media mostly painted a negative picture of Iran. So, he wanted to see the country first-hand and know more about it. However, his opinion changed about Iran after visiting it. He has talked about the first minutes after he touched down at Tehran’s Imam Khomeini International Airport. airport’s immigration officer. He looked at me and asked if I was American. He smiled and said in Persian ‘You’re welcome.’ I thought it would take hours, but he only asked a few questions. Right from that moment, I thought the nice beginning of the trip shows I would continue to enjoy the rest of it, as well,” JP said. 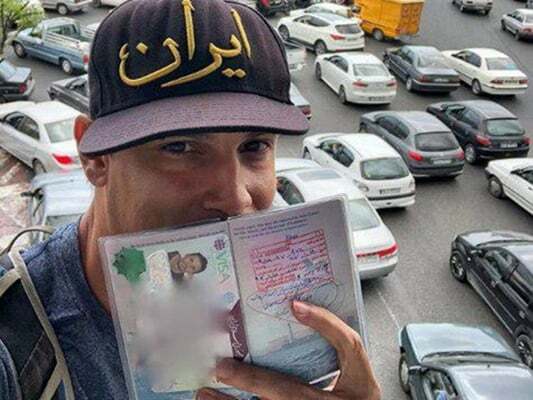 After his visa expired, he went to Kish Island (a free trade zone in southern Iran with easier requirements for foreign tourists and businessmen). He got visa for Iran for a second time. This time, he stayed in the country for one month before having his visa extended for another three months. 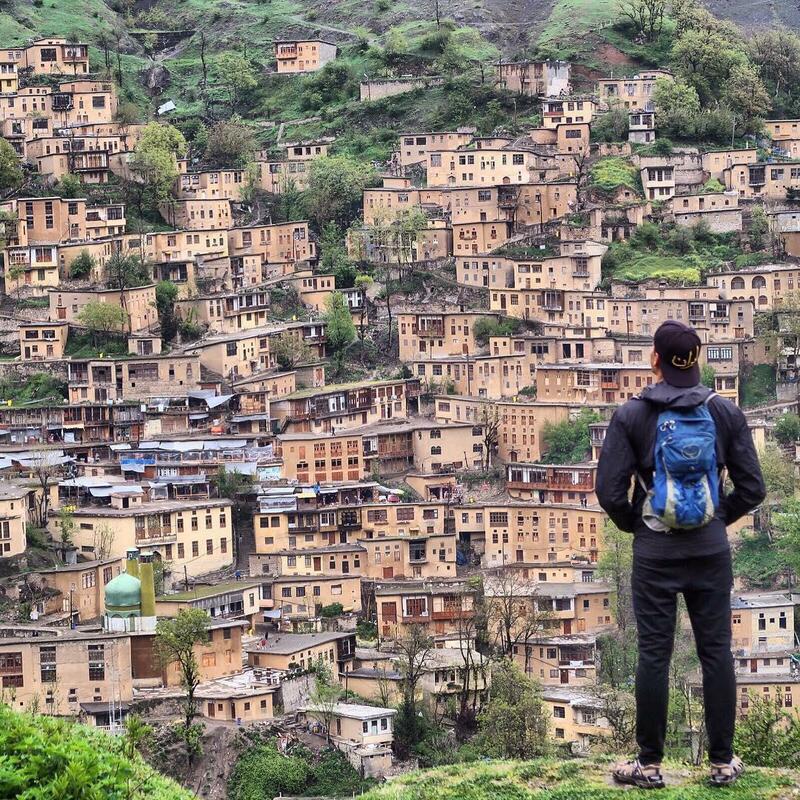 He posts photos and videos of his travels to different countries on his Instagram page. His posts usually come with both English and Persian subtitles. He has tried to learn Persian, but says he can only write a few words. 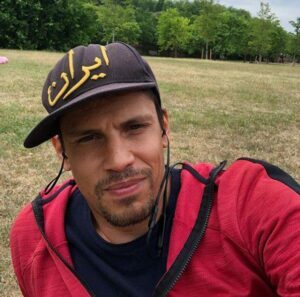 He usually wears a hat bearing the word “Iran.” He says the hat has become his brand. JP says Iranians’ hospitality is unique in the world. Once he was walking in Tehran streets with his backpack when a few people came forward and asked where he was from. JP told them his story, but some people wouldn’t believe it. “The first time when I was walking, several people talked to me and asked where I lived. I told them I was looking for a hostel. Then they invited me to come and stay with them and their families,” he said. Accordingly, JP has not spent even one night in a hotel or hostel during his stay in Iran. “That’s the way it all started. I was staying at a person’s home; then they would ask which city I was going to visit next. I said I don’t know, maybe Isfahan. They said excellent! ‘My cousin lives in Isfahan; you can go and stay with him in his house,’ and it continued the same way for other cities,” the American tourist said. He cannot remember the exact number of the cities and regions he has visited during his three trips to Iran, but says maybe 20 to 30 cities. He says all Iranians are kind and hospitable, but says there is something different about the people of Shiraz which makes them even more special than other Iranians and which he cannot describe. He also says he loves Faloodeh Shirazi. JP has been impressed by Iranians’ friendly treatment of him. He says he was very much impressed when he says Iranians welcomed him warmly and like him despite all the political tension between the two countries. Ive travelled a lot too – USA, Middle East North Africa East Asia and Europe, and agree completely. A wonderful country, amazing history and landscape and charming graceful people.